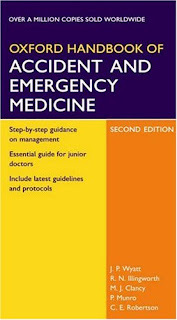 This popular Handbook provides practical, accessible guidelines on a huge range of situations that present to the A and E department, and is the essential guide for junior doctors (including candidates for examinations in Accident and Emergency Medicine), specialist nurses, paramedics, and general practitioners. The text is deliberately precise and prescriptive. It gives up-to-date step-by-step advice on presentation, investigation, diagnosis, emergency treatment and further referral for adult and paediatric patients, Important practical procedures are covered in stepwise, easy-to-follow format with line diagrams illustrating anatomical landmarks.